Friday Fotos: A swimming hole in Antioquia | Barranquilla or Bust! 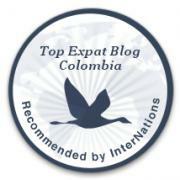 ← So… why did you move to Colombia? Because I am nothing if not a dreamer, I recently submitted a photo essay to World Nomads‘ travel photography scholarship contest. While I definitely didn’t expect to win (and win I did not), I learned a bit about photography and was inspired by the amazing entries from around the world. It’s worth taking a look at the winning entry and those that were short-listed (congratulations, all!). I’m reproducing my five-photo essay, below, along with a few bonus shots, all taken with my iPhone SE. Follow me on Insta at @courtenaystrickland for more. Enjoy! Sometimes it seems horses and motos frequent the Autopista Medellín-Bogotá nearly as often as the trucks for which it’s intended. As the two-lane passes through Antioquia, the Colombian state dominated by Medellín, it yields views of waterfalls and easy access to charcos, or natural swimming holes. Past the Santuario toll (always much further past than the locals say), not far from Cocorná, lies the Hotel-Restaurante El Descanso. In the US, it would be only a truck stop – oil leaches slowly from the undercarriage of parked semi nearby – but here the adjacent charco makes it something more. On weekends, locals gather to drink and chat by the quebrada’s banks and take dips in the icy cold waters. In the shallows, children splash and squeal; young men teach the newbies to skip stones. A very old man, unable to walk, lies on a grassy spot, wrapped in blankets and attended to by his wife. Young people congregate around the deep end and on the balcony of the tiendita above. A cracked pool slide remains installed in the concrete embankment. On the makeshift diving platform, a girl readies herself to leap as a tanker truck roars by. She backs away as those below yell encouragement. After several minutes of indecision, the girl is airborne. She doesn’t dive head first to meet her reflection, as some of the adult males have done, but she’s the youngest to make the attempt today. Those watching break into smiles as she surfaces. BONUS PHOTOS – Photo contest entries were limited to five photos each. The photos below were not included. 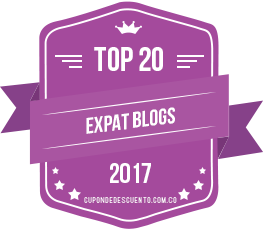 This entry was posted in Daily Life, Friday Fotos, Making the Leap, Photography, Sports & Leisure, Travel & Tourism and tagged antioquia, Colombia, Latin America, mountains, nature, photo essay, photography, rivers, south america, swimming, travel. Bookmark the permalink. Beautiful pictures! I’ve been living in Santa Marta since January and love it! And I love the Colombians! New posts are published weekly. Comments welcome!